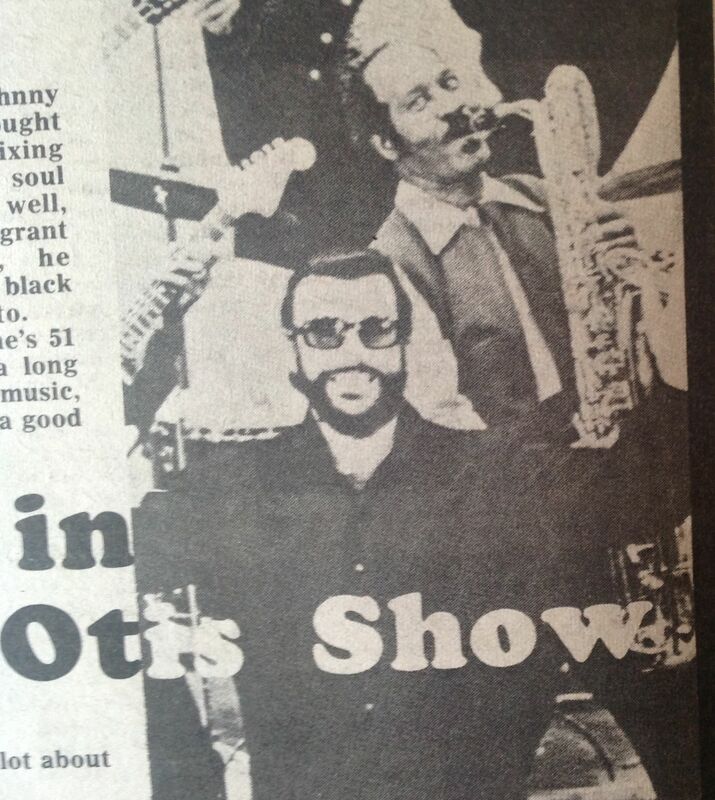 One of my most enduring memories of the 1972 Reading Festival is seeing the Johnny Otis show. The late Johnny Otis (1921 – 2012) was one of the originators of rock’n’roll, and is often referred to as the “Godfather of Rhythm and Blues”. Otis was a band leader, musician, singer, composer, radio and TV host, author and artist; he was inducted into the Rock Hall of Fame in 1994. He started forming bands after World War II, blending swing with the blues. Otis opened the first nightclub in the world devoted solely to rhythm and blues, discovered many artists including Etta James, and Jackie Wilson, wrote and recorded “Willie and the Hand Jive,” and played drums on Big Mama Thornton’s original recording of “Hound Dog”. Brian Wilson, Frank Zappa, Bob Dylan are all on record as saying that they were influenced by Otis. In the UK he hit the UK charts with “Ma He’s Making Eyes At Me” featuring singer Marie Adams and The Three Tons of Joy, which reached number 2 in 1957. Johnny Otis is also the father of child prodigy guitarist Shuggie Otis, who joined the Otis Show at a young age. Shuggie was heavily influenced by blues-rock, funk and the music of Sly Stone, Jimi Hendrix, and Love. In 1969, at the age of 15 he featured on Al Kooper’s Super Sessions; he then released his first solo album “Here Comes Shuggie Otis”and played bass on “Peaches en Regalia” on Zappa’s Hot Rats. In 1971 he wrote “Strawberry Letter 23” which was later covered by the Brothers Johnson. So these guys brought some pedigree to the Reading festival stage in 1972. They appeared on the early Saturday evening coming before ELO and The Faces. The Reading festival originates from the National Jazz Festival and in the early ’70s jazz artists still featured as part of the line-up. For example I remember seeing Chris Barber and George Melly play there in 1973. So Johnny Otis fitted well into that context. 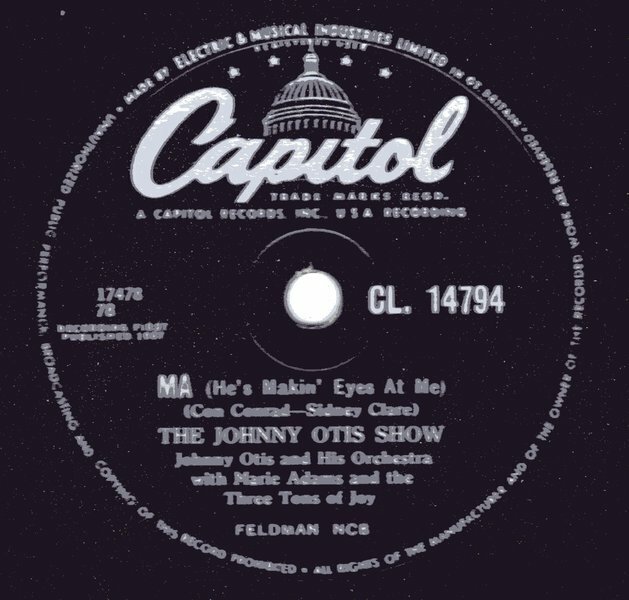 To me, a young kid at the time, The Johnny Otis Show live seemed to come from another age and another world. This was the full US show, featuring Johnny on piano, a big band, Shuggie, and the return of Marie Adams and The Three Tons of Joy. There must have been 20 people on stage at one point. 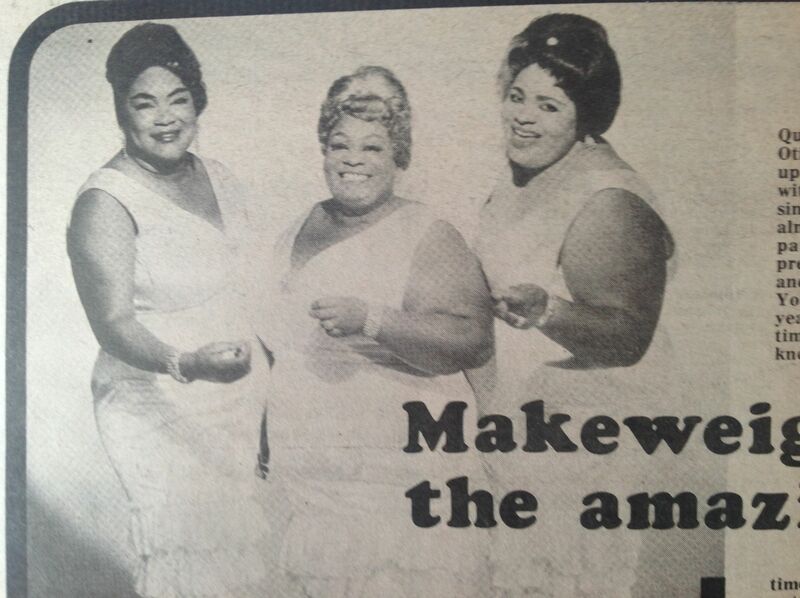 The show took the form of a R&B revue with guest performances by Shuggie, who played a lengthy and amazing guitar solo on “Shuggie’s Boogie”, and Marie Adams and The Three Tons of Joy who sang “Ma He’s Making Eyes At Me” and were simply sensational; the crowd just loved them. They also played “Willie and the Hand Jive”. It was a hot sunny day and The Johnny Otis show matched the mood of the day, and fitted in well with the rest of the heavy and prog-rock line-up, which featured Ten Years After, Curved Air, Status Quo, Genesis, Stray and Edgar Broughton. Johnny Otis must have been in his early 50s at the time, which seemed like he was an “old” guy; its interesting how my concept of “old” has changed as I have become “old” myself 🙂 . Shuggie was of course a young guy; around 18 years old at the time. Shuggie continues to play to this day, and retains a cult following; he returned to the UK a year or so ago and played at Manchester’s Band on the Wall, and the Jazz Cafe in London. His influence is felt through the music of Prince and Lenny Kravitz. These guys are legends, and the Johnny Otis show stays in my mind as something pretty special, the like of which I’ll probably never see again. PS. I added some photos of a page from the 1972 Reading programme showing Johnny Otis and the Three Tons of Joy.